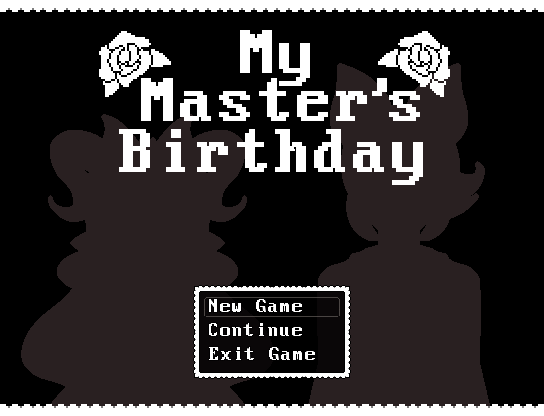 My Master's Birthday is a short kinetic novel style game I made in about 3 weeks in RPG Maker VX Ace for halloween. you play as a werewolf butler named Damien. it's October 31st, and he wants to impress his master, Victoria, by buying her her favorite foods for her birthday! it's linear with only one ending, and it's VERY short. you could beat it in about 15 minutes. very minor amount of blood and foul language, but that's about it. Would you be interested in a port of this in RPG Maker MV? This is such a great little game! All of the designs are so much fun -- I loved the outfits and I also loved the sound design in this game! All of the little bloops and bleeps were always so fun! Your art is fantastic and if you ever end up making another game I'm really looking forward to it! aaa thank you so much, i really appreciate it!! ;w; and i'm glad you liked it! 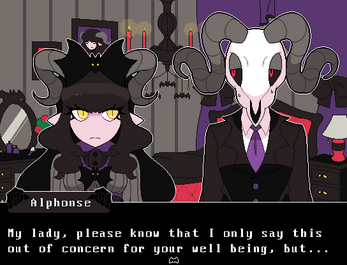 i have like... 6 other games i'm working on right now haha, so i'm definitely going to release another one soon! Hey . I'm from Russia . what characters are there in this story? hi!! oh wow, that would be so cool! that doesn't bother me at all, go right ahead! I LOVE!! THIS GAME!!! all the backgrounds and character art look SO GREAT!! the designs are very you <3 AHH AND THE FIGHTING PART WAS SO COOL!!! you did an amazing job!!!! 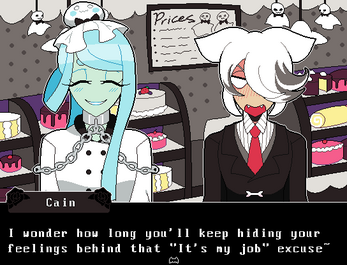 sorry i can't help but gush over everything, the music was really cute and fitting too!! 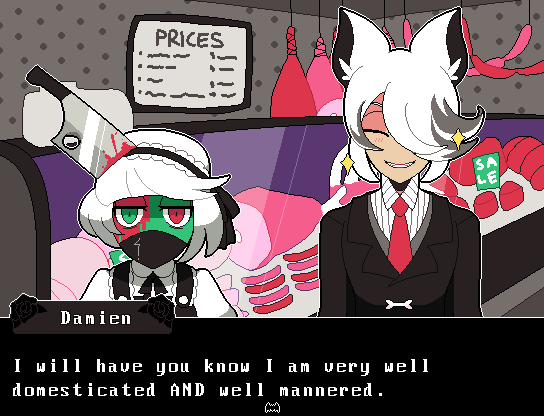 i love how clean everything looks... and the color palette is so well done... ahh i hope i'll find the time to draw some fan art soon, damien was my favorite for obvious reasons <3 congratulations on releasing your first game!!!! i'm so happy for you ;o; WAH!!! !